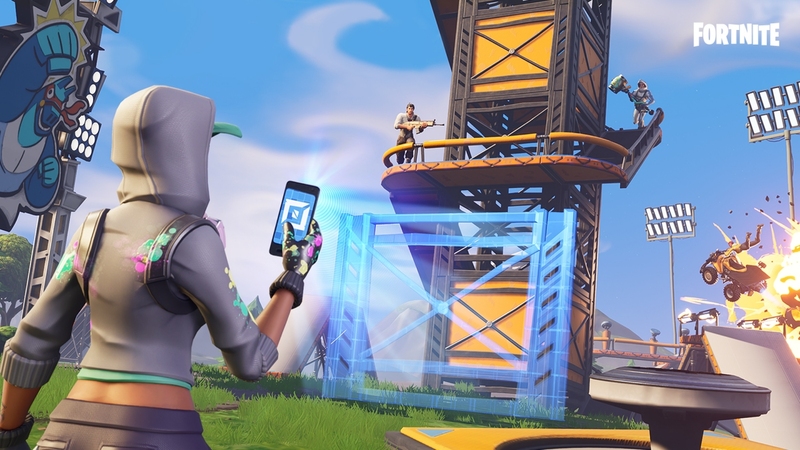 The big picture: Games like Minecraft and Super Mario Maker have set the stage for Fortnite's latest addition, a Creative mode that lets players build maps and invite others to play them. It may not be all that original but make no mistake, this will be huge. It’s a big week for Epic Games. The Fortnite creator on Tuesday announced a digital storefront and will launch Season 7 of the battle royale phenomenon on December 6. That’d be enough to keep most busy but not Epic; the company also teased a Fortnite world premiere for The Game Awards tomorrow. Being the Internet and all, someone “accidentally” jumped the gun and published a first look video of Fortnite Creative early, prompting Epic to go ahead and announce the feature today. The new mode lets players build on their own private island and invite others to play their finished maps. It’s kind of like Minecraft or Super Mario Maker, but with Fortnite. If building maps and watching others enjoy your creation is more your cup of tea, you’re probably going to love Creative mode. Fortnite Creative launches on December 6 as part of Season 7 for Battle Pass owners (general availability happens a week later on December 13). Additional details will still likely be shared at The Game Awards which airs tomorrow at 8:30 pm EST across 40 web platforms including YouTube, Twitter and Facebook.